Trent will be at Miron Crosby in Dallas, TX with Comstock Heritage Jewelry, measuring heads, showing off the latest in #HATisfaction® that's coming out of the shop and talking #CustomIsCool. Our friends from across the pond will be in the shop attending University, building hats and learning the behind-the-scenes process of a Greeley hat. 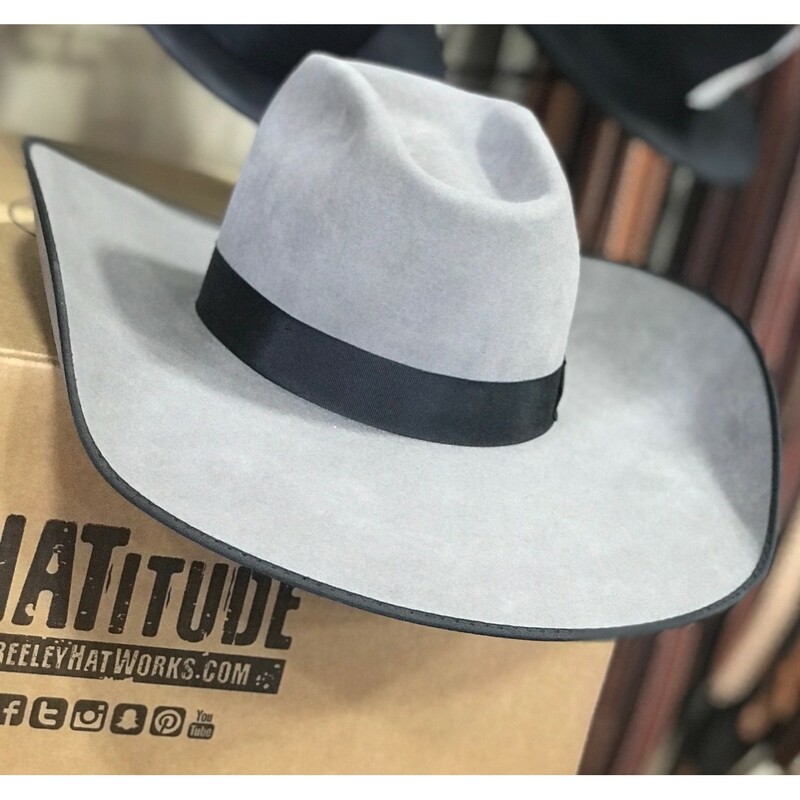 This weekend, find Trent in Pigeon Forge, TN at Stages West talking #HATitude®, measuring heads, and taking orders for some Tennessee #CustomIsCool hats. Join us at Greeley Blues Jam for a Summer Concert Tradition! It's that time of year, folks! Greeley Stampede is here! Hello, Fort Worth! 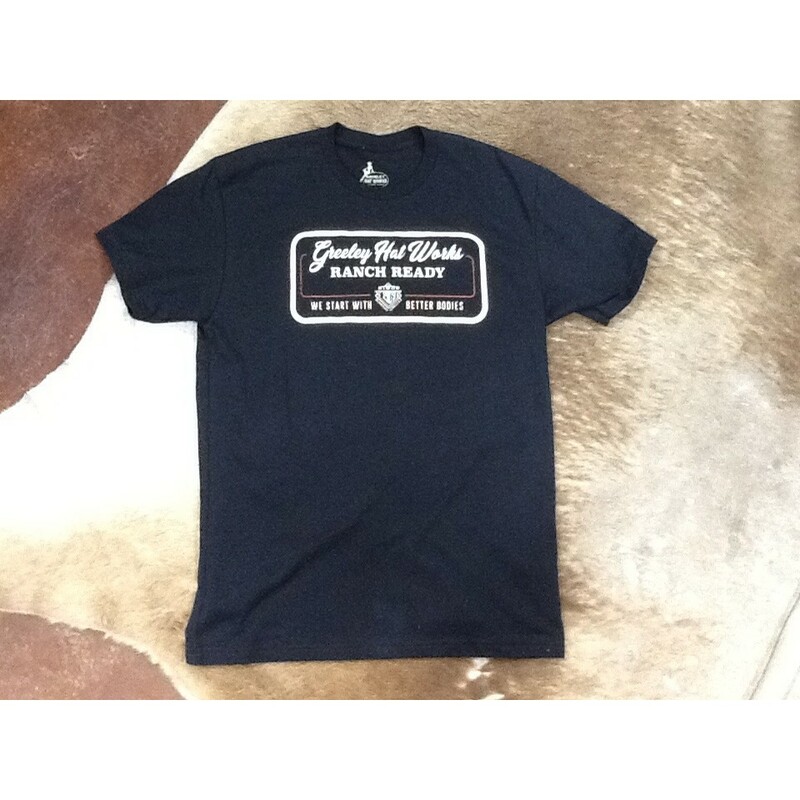 We'll be at The Maverick Western Wear showing the latest in #HATisfaction®! Join us at Outpost Western for a Fall Trunk Show! Hey, Germany! Here we come! Trent will be at Americana with our German Retailer, Cayuse, spreading the word of #HATisfaction® in Europe. Trent will be at Yves Hirschy Custom Hats holding a weekend trunk show, measuring heads, creating #HATisfaction®, and talking all things #CustomIsCool. Catch Trent at AQHC this year in Columbus, OH! We'll see y'all at The Angus Convention in Reno, NV this year! Greeley Hat Works has from its beginning been a quality part of it’s community, from local, to regional, to national, and providing the best quality and customer service even to celebrities and well known politicians. No matter its owner or location, Greeley Hat Works has forged a rich history through its fine hatting and commitment to its customers. Greeley Hat Works, then known as The Shining Parlor, had two different locations in Greeley, Colorado, one on 8th avenue and the other on 5th avenue. In 1920, the shop was moved to a permanent location in Greeley, and The Shining Parlor had taken on a new owner, George Brown. Brown partnered with five brothers from Kersey, the Martinez brothers (Ben, Irvin, Telos, Joe, and Dave) to run The Shining Parlor. Soon after this partnership was formed, The Shining Parlor changed its name to Greeley Hat Shop and Shining Parlor, and was eventually remodeled in 1928. Brown also had a location in Fort Collins, Colorado where Martinez brothers cleaned, shaped, and ordered hats until 1935 when ownership would change again. Now seeking business ventures in the dining business, Brown sells Greeley Hat Shop and Shining Parlor to the Martinez brothers, who then took over the Greeley location, producing hats from, managing and also shining shoes at both locations. Brown and the Martinez brothers had begun to build a good rapport with the surrounding business community. This would lead to more and different kinds of business. Clothing shops in surrounding areas such as Fort Collins and Windsor began to contract work to Greeley Hat Shop and Shining Parlor. When patrons of these clothing shops brought in hats to be serviced, the clothing shops relied on Greeley Hat Shop and Shining Parlor to do a quality servicing job on the hats. Greeley Hat Shop and Shining Parlor would pick up and return the hats, consistently finding customers were pleased. Their success did not stop there by any means. Customers from out of state who had heard of Greeley Hat Shop and Shining Parlor’s work would mail their hats in from out of town and state. Business was so good that the wives of the Martinez brothers were needed as employees at the shop, and business continued as so. Sometime after the family name changed from Martinez to Martin, Abel Martin passed away, and Ben Martin took sole proprietorship of the company. After this change, Greeley Hat Shop and Shining Parlor became simply “Greeley Hat Shop”, and with these changes came unexpected changes in business. Around the 60's or 70', Greeley Hat Shop’s Clientele is assumed to have been changing, as style changed, and the public stopped buying as many hats. These hats began to be used only for practical purposes, and not as much for the sake of fashion. However, in the 1980's, Downtown Greeley began to change, and so did Greeley Hat Shop, as it took different owners and locations. Ben Martin moved the Greeley Hat Shop to 1208 9th Street, and soon after, Norman Peterson bought the shop, while Martin continued to work for the shop. In the early 1980's a man named Jim Walsh bought the shop and moved it again, this time to 11th avenue where he would combine it with a Western clothing shop. In 1985, Susie Orr bought Greeley Hat Shop, and trained under Ben Martin, who continued to work at the shop. Orr further shaped the future of Greeley Hat Shop by expanding their services from strictly cleaning and shaping hats to ordering and designing custom made hats. Susie took on an apprentice, Trent Johnson who would later buy Greeley Hat Shop and move it back to its downtown location at 826 9th Street Plaza. The name Greeley Hat Shop was later changed to its current name, “Greeley Hat Works”. Trent Johnson is the current owner of Greeley Hat Works, and continues to uphold the great legacy that was built by his predecessors. 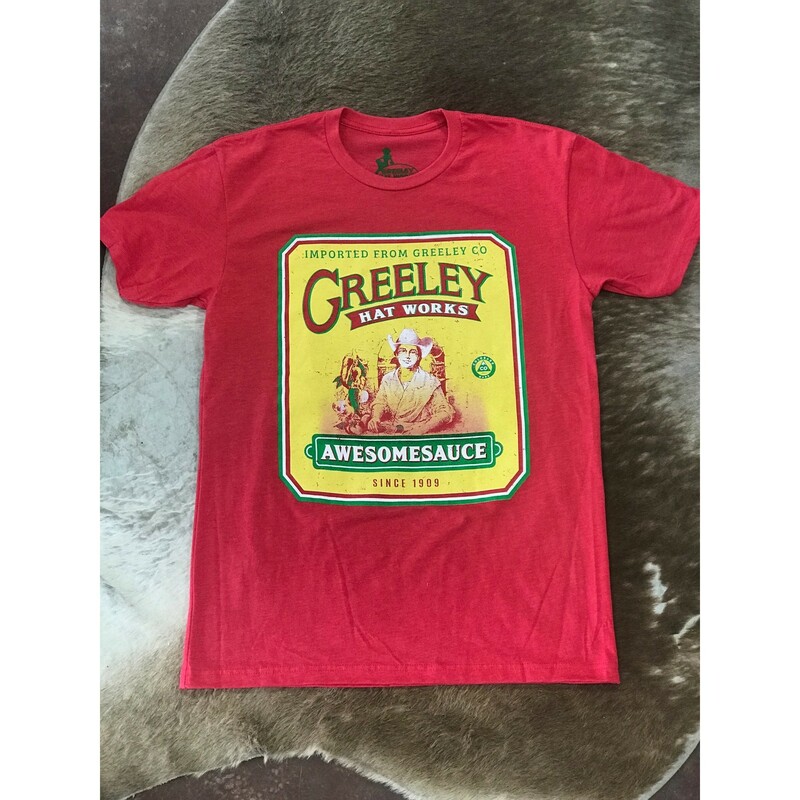 From the day that Trent bought Greeley Hat Works to this day, his work and the name of the shop have only become more prolific and well-known. 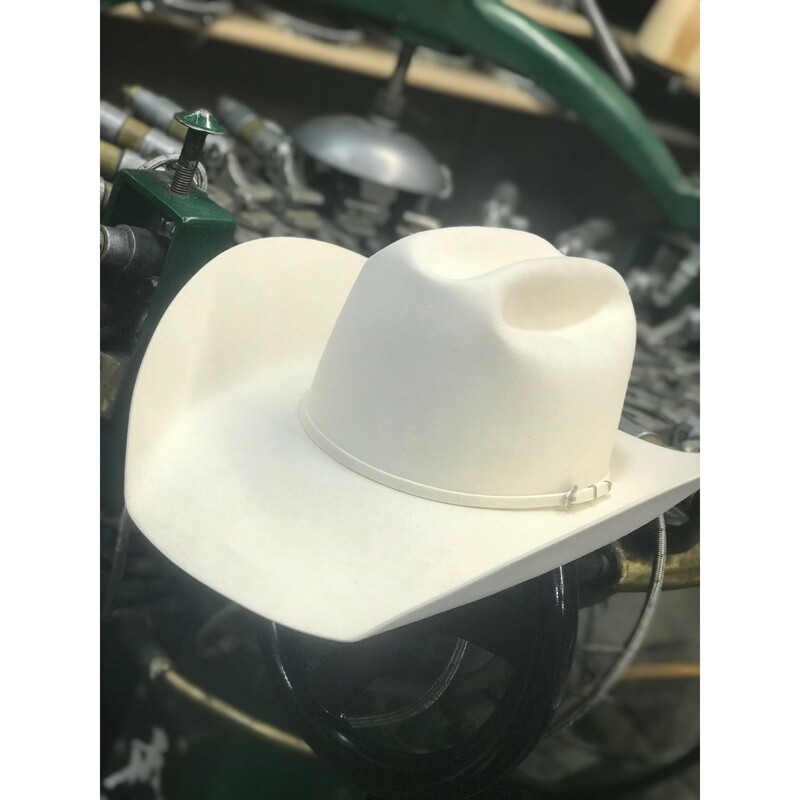 Over the years that Trent has owned the company, he has provided excellent hats for the everyman, as well as some other very well known people in America. In 2002, Trent had the great opportunity and privilege to make a hat for President George W. Bush, and presented it to him at the National Cattlemen’s Beef Association (NCBA) that was being held in Denver, Colorado. Previous to this, Trent was Commissioned by the NCBA to make a custom hat for their 100th anniversary. When Trent was told that President Bush was going to be at the 2002 NCBA, he decided that it would be appropriate to make him a customized hat. With the hat, President Bush was also presented with a custom designed leather bound photo album containing photos of the process and history of the hat. Besides having the honor of having made a hat for the President, this was a great opportunity and source of endless press for Trent. Trent expanded Greeley Hat Works in 2003 from a small custom hat shop to a fully fledged hat production shop. Keeping his show room at the time in it’s original location on 10th Street, he started producing hats in the old Weld County Garage Body Shop, an 8,000 square foot space of which he took 4,000 in the back portion with the option for another 4,000 in the front. Around this point, several dissatisfied American Hat Works customers had come to Trent looking for something of better quality. The new expansion to Greeley Hat Works allowed him to meet these needs adequately, and quickly. Aside from the President, Trent has made hats for other politicians, too. Don Arme, Oklahoma State Representative, commissioned Trent for a custom made hat. As a token of his appreciation for Trent’s craftsmanship, Arme sent him a letter of thanks and a photo of himself wearing the hat inside the House of Representatives. “During my college years, I sold western wear and have shaped hats from the lowest to the highest quality. Your hats are of the absolute highest quality. I am proud to be a the owner of a hat from the Greeley Hatworks,” wrote Arme on the U.S. House of Representatives stationary, and signed his name in pen at the bottom of the letter. And, among others, Trent also made a hat for Mayor Giuliani of New York. Greeley Hat Works never seemed to disappoint, and Trent was certainly not done after these victories. Found on the front cover of an issue of Parker County Today is a picture of Country Singer Red Steagall with a Greeley Hat Works customized hat crowed proudly on his head. Trent has had hats featured in The Hat Magazine, Western Lifestyle Retailer, Western & English Today, Several different local and regional newspapers, Tack ‘n Togs Merchandising, and several more.